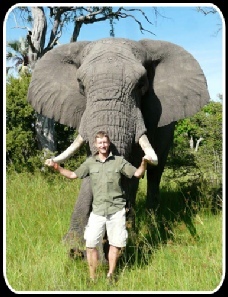 I am an experienced safari guide and game ranger and spent a year training and working in South Africa at Kwa Madwala Private Game Reserve near the southern Kruger park. I am familiar with the behaviour of many African species including lion, elephant and leopard, as well as a working knowledge of over 200 bird and plant species, and I enjoy passing this experience onto my guests and providing the most memorable and rich encounters that I can. I have worked closely with elephants and am comfortable in close proximity to dangerous game species either on foot or in a vehicle. 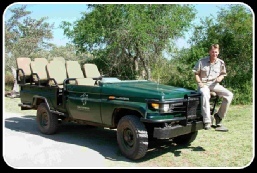 I am able to offer TV and film production liaison as well as independent safari guiding for small or large groups on and off road in vehicles.I am available for bookings or consultation in the UK and Africa.